WALT DISNEY'S SNOW WHITE And The SEVEN DWARFS. One of a series of picture books from the Walt Disney studios. 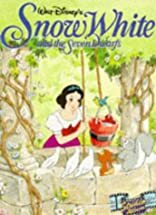 "Snow White and the Seven Dwarfs" was Disney's first animated film made in 1937.